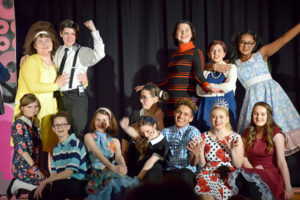 Marlborough – The Assabet Valley Regional Technical High School’s Drama Club entertained audiences with their rendition of “Hairspray, Jr.,” based on the film written and directed by John Waters, as their spring musical production. Directed by English teacher Olivia Lucier, the play is set in 1962 and portrays Baltimore teenagers coping with the issue of bigotry. Mike Lisasa, a junior in the Design & Visual Communication program at Assabet, is cast as Seaweed J. Stubbs, a young black teen who finally participates in the local TV dance show with his new friends as they successfully integrate the program. 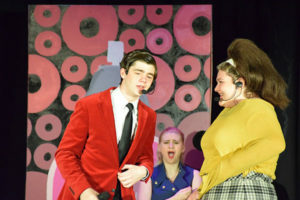 Amber Thetonia, also a junior in the Design & Visual Communications program, was starring in her fifth production at Assabet, as Amber Von Tussle. “It’s just amazing to be on stage and get that feeling of community, coming together backstage as a family, and bringing smiles to our audience. 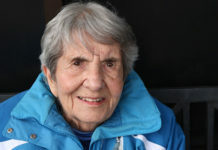 It’s just a great opportunity,” she said. A senior in the biotechnology program, Brianna Williams has been a participant in the Drama Club her entire high school career. “There are only three of us who have been with drama for all four years,” she explained. Other members of the cast included Angelina Dwyer, Kevin Rodriguez, Bailey Alexander, Nicole McWeeney, Ricky Hartford, Alex Zucker, Connor O’Hare, Alexis Barros, Bianca Diaz and Luiza Landrau. Other members included Sara Blanchard, Marcella McKinney, Kyleigh Sofferman, Skylar Sofferman, Ava Matkins, Paige Savitzky, Morgan Mylon, Maya Yatim, Carlie Sheen and Rachel Leibowitz. The Tech Crew included Jesse Como, Jesse Nolan, Sara Peltier, Adrian Chambers, Francis Valentino, Katie Mains, Ben Nugent, Juliette Hughes and Malorie Baldinger. 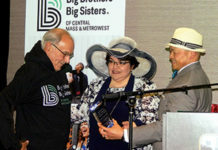 Next articleAnnouncing the Community Advocate’s Weekly Email Newsletter!